Welcoming friends and family into my home is one of my favorite holiday activities. It is such a festive time of the year. But it is also a busy time of the year for everyone. So I have figured out how to entertain simply. Whether you have decorated a lot or very little, candlelight goes a long way in setting a festive mood. Rather than a full bar, just offer wine and beer. And with food, lately I have embraced an antipasti theme. 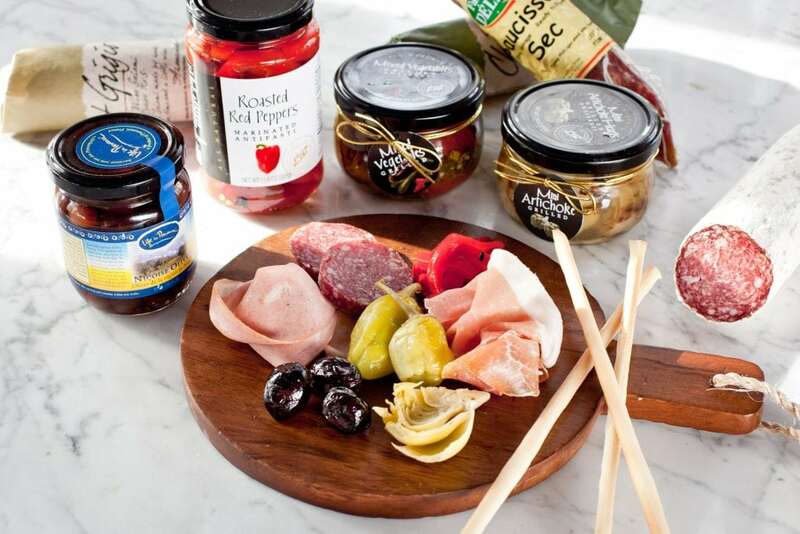 That only requires arranging some salami, prosciutto and cheeses on a platter accompanied by bowls of your favorite marinated vegetables or spreads – like olives, peppers and artichokes and tapenade. And that is really simple – just opening a few jars. Include some crackers and breadsticks and voila! 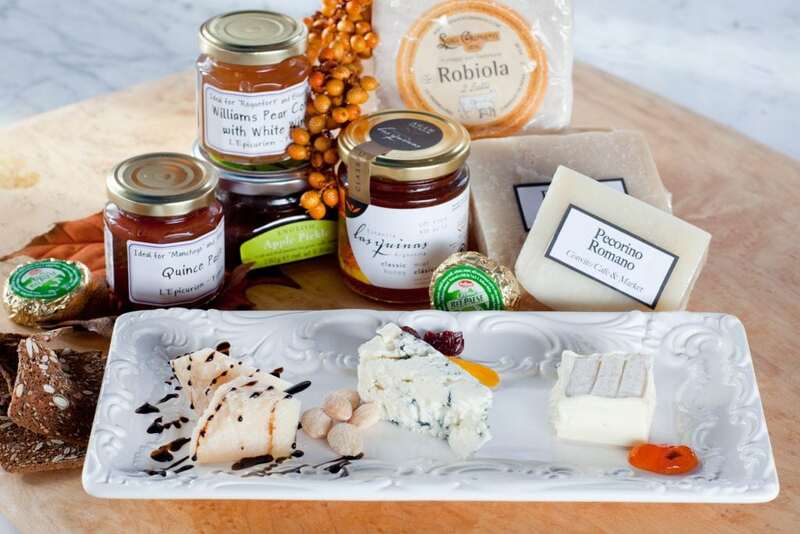 You have the ingredients for a perfect holiday gathering – big or small. This can be a large platter, or small. People can even make their own sandwiches on the bread with salami or prosciutto with a little tapenade and brie, and voila! Your guests can either snack or fill-up! Nancy Brussat is the founder and moving force behind Convito Café & Market which opened its first location under the name of Convito Italiano in 1980 in Wilmette. A long time interest in Italian food blossomed during a three-year residency in England. Brussat made frequent trips to Italy, becoming increasingly enchanted by the regional wines, cuisine and character of the country. 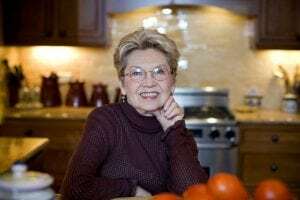 When Brussat moved back to America in 1980, she decided to open Convito Italiano, a shop which would be part grocery, part pasta and sauces, part education center, part wine center, and part deli. By 1982, the shop was too small to contain all of Brussat’s ideas, so she moved Convito to larger quarters in Wilmette’s Plaza del Lago, with three times the space and three new features; hot foods, an on-the-premise Italian bakery, and a 28 seat Italian cafe serving lunch and early dinner. In October of 1984, a second Convito location opened in the Chestnut Galleria on Chicago’s near north side: a post-modern, Euro-style shop on two levels, that included a 62 seat white linen tablecloth restaurant and a 35 seat wine bar. The new location was larger (10,000 square feet) and grander than the Wilmette store, but was every bit as dedicated to presenting fresh, authentic dishes in the great Italian regional tradition. The Chestnut location has been closed (Spring 1994). A fire occurred in the kitchen in November of 1993 making it difficult to continue operation. In 1992, Brussat opened a new, casual Riviera-style Bistro, Bêtise, in Plaza del Lago. It featured fresh and unpretentious dishes transported from the Cote d’Azur and the lively Bistros of Paris to a warm, honey-colored art-filled suburban setting. Barocci was chosen to serve on American Airlines’ Chef’s Conclave in 1989, a group of 10 chef’s from around the country who strive to improve and maintain the quality of dishes offered on first and business class. 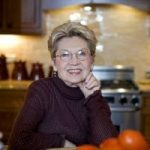 She is also an active Past President in Les Dames d’Escoffier, an international women’s food & wine organization. She is also an active Past President in Les Dames d’Escoffier, an international women’s food & wine organization. Can I plant in Fall? 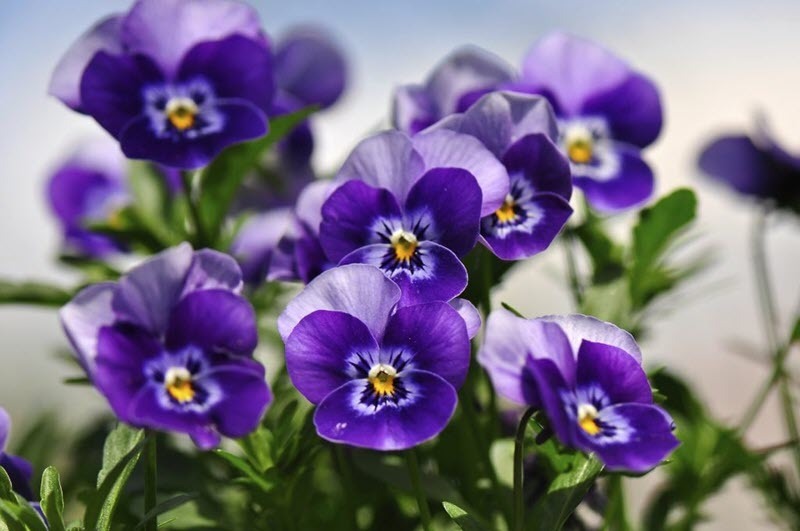 Fall is a great time to plant pansies and other flowering plants. Yes you can! Fall is fantastic for planting. Gardeners love fall. Not only is it a beautiful time of year, it is also a great time of year to plant, divide and transplant. We have cooler air temperatures which is easier on both plants and gardeners. The soil is still warm to promote good root development and help with establishment by having less stress on the plant. You may not have to water as much. Furthermore, typical Chicago Falls have more days that are nicer to plant in than unpredictable spring weather. You can plant almost anything in fall. Fall annuals for beds or containers include pansies, violas, kale, cabbage, mums, grasses, asters. Perennials cover a wide variety from flowering plants (rudbeckia, salvia, nepeta) foliage plants (hosta, heuchera, and pulmonaria), grasses (sporobolis, pannicums), groundcovers (ajuga, vinca). Shrubs can add impact to any garden in the sun or shade from hydrangeas to lilacs. Shade trees and flowering trees add great bones to any yard; provide increase in property value and a decrease in utility expense. Tulips, crocus, daffodils, hyacinths, snowdrops, alliums and many others are planted as bulbs in the fall to create early to late spring “wow” color. Not only can you plant for beauty you can also plant for eating. Cool crop veggies often make a second appearance in late fall markets so take advantage and plant some Swiss chard, kale, spinach, radishes, etc. Fall Season for planting and transplanting in the Chicago area is from mid-August through October because our average first frost date is October 25th-November 15th. This gives the plants enough time to establish before the harshness of winter weather. 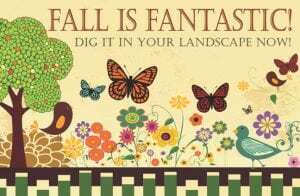 Fall is fantastic not only because it is a great time to plant, sometimes your local independent garden centers and nurseries have items on special so saving money and beautifying your home at the same time. Check with us at West End Florist and Garden Centers for questions, help, special promotions, soil amendments or installations. We would love to help. Co-Owner and General Manager of West End Florist and Garden Center a fourth generation family business. West End was originated in 1908 in the Luxembourg tradition of truck farming in the little known village of Gross Point, IL which later became part of Wilmette and Evanston, IL. 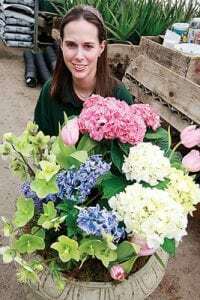 The business has seen many changes in both its operation and surroundings; however it continues its family tradition of serving the gardening needs of the north shore. Elizabeth has been active in the business since grade school and has been working full time from 1997. 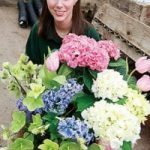 Elizabeth currently grows both for retail clients and contractors over 250 different varieties of perennials. Her rose selection is a well kept secret among professional landscapers. Furthermore, she maintains a close network with other greenhouses to obtain most needs and wants for her everyday customers. Elizabeth and her brother Jim own J and E Nursery in Libertyville, IL. 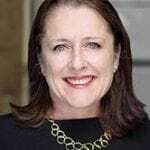 She is active in the IGA (Illinois Green Association) and is a certified Nursery Professional in both perennials and woodies, ANLA (American Nursery and Landscape Association), SAF (Society of American Florists), Teleflora Unit Board, Wilmette and Evanston Chambers of Commerce. A home inspection is a integral part of the home buying process. 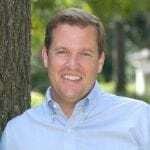 This month our expert Jon Olsen discusses the importance of hiring the right inspector for your deal. Ask to see samples and determine whether or not you can understand the inspector’s reporting style and if the time parameters fulfill your needs. Most inspectors provide their full report within 24 hours of the inspection. This is a valuable educational opportunity, and an inspector’s refusal to allow this should raise a red flag. Never pass up this opportunity to see your prospective home through the eyes of an expert. One can never know it all, and the inspector’s commitment to continuing education is a good measure of his or her professionalism and service to the consumer. This is especially important in cases where the home is much older or includes unique elements requiring additional or updated training. Ask the Expert: Tracy Kearney – Aren’t All Lenders the Same? Aren’t All Lenders the Same? After receiving what appeared to be a competitive rate offer (we had compared rates on-line) and a preapproval for an amount “we could afford”, we began hunting. Within days of our initial conversation with our lender we found the home of our dreams. We were excited to call our lender and exclaim “we’ve made an offer and we’re ready to lock in – let’s go for it!” At that very moment, our excitement turned to confusion, frustration, and sheer disappointment. The very same lender who preapproved us at a particular price point was now telling us that we did not qualify for our “dream home” (which was $25,000 below the approved amount) and, ultimately, we were unable to purchase the home. Our lender had not advised us to consider the property taxes during our search and the taxes were too high on this property for us to qualify. 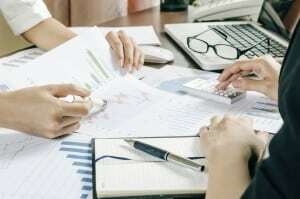 One of the most basic and primary details in any home purchase is having a plan to pay for it and knowing what you can legitimately and comfortably afford. This is why it is important to work with a lender that not only has a comprehensive understanding of the mortgage process, but also takes the time to understand your personal situation and goals. That lender should also help you understand the process, provide you with loan product options specific to your needs and, most importantly, ensure you fully understand the liability and responsibility you will be assuming before you commit to your loan product. Where are you living now? Do you want to stay in your current neighborhood, or are you looking elsewhere? How much have you saved for a down payment? Is anyone going to help you, by gift or loan with that down payment? How much money do you currently spend monthly on your rent or mortgage? How much money will you be comfortable spending monthly in your new home? What price point have you been considering? Are you looking to purchase a single family home or a condo or townhouse? Are you a first time buyer? Are you a veteran? Do you own other properties? Will you be living in this home or are you looking to treat this as an investment property? How much do you make annually? Are you self-employed? The answers to these questions will determine what loan product is right for you. For example, if you are a first time buyer or a veteran, there are loan products available to help with your down payment. If you are planning to use gift funds, your lender will know the loan products that allow for use of those funds. If you are only planning to stay in this home for 5 to 7 years, a 5/1 or 7/1 year arm may be the better loan product for you, as the rates are typically more competitive than a 30-year fixed rate. If your credit is bruised, your lender will know to look for loan products that will provide the necessary leniency, like an FHA loan. If you work with a Mortgage Broker (like me) versus a loan officer with a traditional bank, chances are your Broker will provide you with more loan options because Brokers have a multitude of lender relationships with whom to shop your loan. Also, a Mortgage Broker will more than likely have the ability to process, underwrite, and close your loan faster than a traditional bank since they specialize in the mortgage process and have better platforms in place to do so. Many larger lenders and banks take longer to underwrite mortgages since this is simply one of several services they provide. The Origination Fees the lender will charge you to process your loan. These fees vary from lender to lender and you should be fully aware, upfront, of what these will be so you have the opportunity to compare to other lenders. Settlement fees, title fees, and recording fees should remain consistent but may vary by a small percentage as these are third party, fees associated with all mortgage financing. Finally, your lender should be able to give you a very good estimate of the amount of money you will need to have available to deposit into your escrow account, for both your taxes and insurance. The exact amount will not be known until your closing date has been determined. The mortgage industry is a highly regulated industry and therefore a complicated process. Again, before locking in, your lender should thoroughly explain the role you will play in the process and the importance of it. Your lender will tell you that what documentation he/she will need to receive and will explain when and how those documents need to be provided. It is imperative that you follow your lenders direction, provide all information requested, and do so in the timeframe they have communicated, as incomplete files or missed deadlines can literally kill your deal. The process can feel stressful and overwhelming. An experienced and reputable lender will be there to walk you through every step of the process, keep you informed, and therefore alleviate much of the anxiety you could potentially be experiencing. Bottom-line, it is your lender’s responsibility to provide you the support and service you deserve throughout – this is your loan! Had my husband and I realized that ALL LENDERS ARE NOT THE SAME when we first began looking for our first home, that “dream house” with which we fell in love might have become more than just an unattainable dream! To contact Tracy Kearney of Guaranteed Rate with any questions or lending needs, email her at: tracy.kearney@guaranteedrate.com. 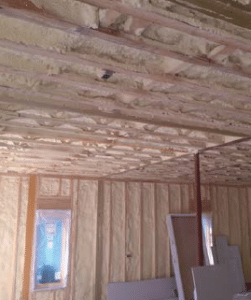 What is Spray Foam? Why Should I Use It in My Next Remodel Project? 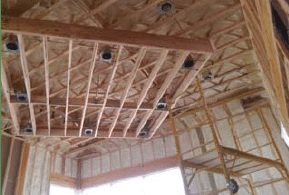 What is Spray Foam and Why Should You Use it in Your Next Remodel Project? Spray polyurethane foam (SPF) is a spray-applied plastic that can form a continuous insulation and air sealing barrier on walls, roofs, around corners and other surfaces. SPF insulation is known to resist heat transfer extremely well and offers a highly effective solution in reducing unwanted air infiltration. As much as 40% of a building’s energy is lost due to air infiltration. Gaps, holes and air leaks can make energy bills unnecessarily high. Spray foam performs as both insulation and an air barrier, closing gaps that let air escape and add dollars to monthly energy bills. As much as half of the energy used in a home goes to heating and cooling, according to EPA. Maintaining an optimal heating, ventilating, and air conditioning (HVAC) system can make your home more energy efficient. With spray foam, HVAC sizing can be reduced as much as 35%. Air leaks that can waste energy and drive up utility bills can be filled with spray foam. Some common spots for air leaks that can be sealed with spray foam include the area behind knee walls, attic hatches, wiring holes, plumbing vents, open soffits, recessed lights, furnace flue or duct chaseways, basement rim joists, windows and doors. “Cool roofs” are designed to maintain a lower temperature than traditional roofs. They are light in color and reflect sunlight. Spray foam applied to the roof of a building can provide cool roof performance when topped with a protective, reflective coating. Spray foam roofs do not require metal fastening, eliminating the potential for thermal shorts or bridges that allow heat to enter. While Spray Foam costs more than traditional insulation methods, that cost is easily made up within 5 to 7 years. After that point, it will pay dividends forever more. 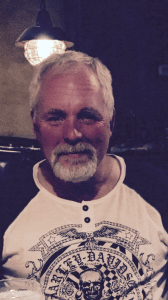 . .
To contact Greg Rekett of Sutherland Builders with any questions or project needs, email him at: gregr@sutherlandhomes.com.